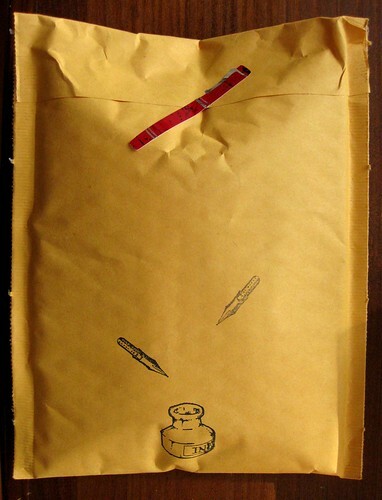 I participated in a Pen Swap on Swap-bot recently, and I decorated the package to match the contents. 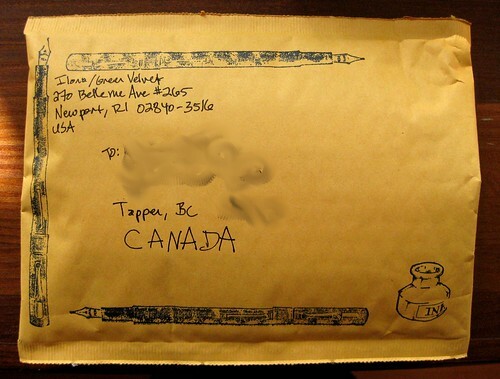 Well, okay, I didn't send an antique fountain pen like this, but I did send a fountain pen. Pen swap sounds something which I also would like to attend! I have to look, there might be coming something similar. 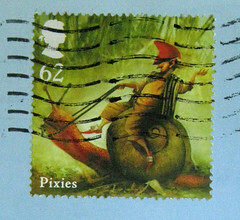 - I liked your cat postcard swap and got so well in start in it, that now I have signed me up to two new swaps, HANDMADE *POSTAGE STAMP* COVERED POSTCARD SWAP and "MAIL ME A DECORATED ENVIE". I love the way you decoed the envie . I do that too when I am sending books .